Blood Pressure Medicine Pindolol: Could It Help Alcoholics? 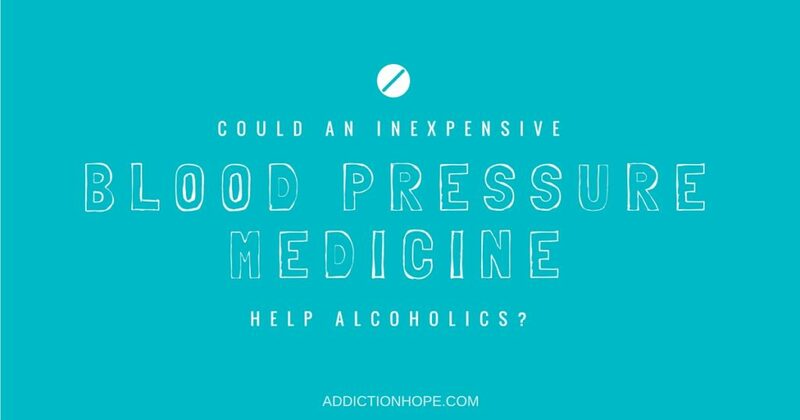 Could The Inexpensive Blood Pressure Medicine Pindolol Help Alcoholics? This entry was posted in Recovery & Support and tagged Alcohol Abuse and Addiction, Prescription Medication, Substance Abuse, Treatment on June 27, 2016 by Team Addiction Hope. Researchers working out of Brisbane, Australia, claim to have made a potential breakthrough in the pharmacological treatment of alcoholism. After more than a year of study, the team of scientists believe that the blood pressure medicine pindolol, which has already been approved in the U.S. by the FDA, could work wonders for those battling alcohol addiction. While there are already drugs on the U.S. market designed to curb alcohol consumption in addicts (acamprosate, disulfiram and naltrexone), these have only seen limited success. Pindolol, on the other hand, has shown signs of being able to significantly reduce alcohol consumption, particularly the binge drinking of alcohol, which is a central behavior among alcoholics. The exact mechanisms of the effects of pindolol (sold under brand names like Visken) remain murky, but researchers believe that the inexpensive substance is able to reduce the neurotransmitter responses that are associated with alcoholism. Over the course of a 12-week study, mice who were treated with pindolol after a prolonged alcohol binge consumed far less alcohol than mice that had not received pindolol. Researchers currently theorize that pindolol’s effect on the basolateral amygdala, a brain region that is densely packed with serotonin and norepinephrine nerve fibers, is responsible for its ability to reduce alcohol consumption. And because the drug is already known to affect this brain region, researchers hope to receive approval for human clinical trials shortly. As promising as this breakthrough may be, it’s important to take the findings with a grain of salt. It is a monumental leap to conclude that a certain kind of heart medication can successfully treat alcoholism based solely on a study performed on rodents. It’s important to remain skeptical during these situations. After all, the last thing an alcoholic needs to hear is that this type of addiction can be cured simply by taking a pill. The importance of professional addiction treatment therapy cannot be overstated. Even if pindolol can positively affect the neurological factors that play a role in alcoholism, it does not address the underlying emotional problems that drove the person to alcohol in the first place. However, traditional alcohol addiction treatment still has a relapse rate estimated to be between 50 and 90 percent, so any additional pharmacological tools could potentially be of great help. It is doubtful that we will ever discover a magic pill that can cure alcohol addiction entirely, especially when we consider that current medications have been in use for so long with only limited success. Ideally, we will discover a course of treatment that integrates both medication and therapy to help people achieve lasting recovery. Alcohol is without peer when it comes to substances that damage lives and corrupt society, making it arguably the most harmful drug in the world. However, by continuing to research the neurobiology of alcohol addiction, we can develop more tools to help combat the growing scourge of alcoholism worldwide. Do you believe that alcohol addiction could ever be cured by a pill? Or is the only path to sobriety through professional addiction therapy? Share your thoughts in the comment section!